So I took a few weeks off of worrying about preschool. It's because we moved. And that is my excuse - it is a good one. This week we're just casually getting back into it, and we're covering the letter S and doing a review of colors (my daughter knows most of her colors, but it never hurts to go over them again). 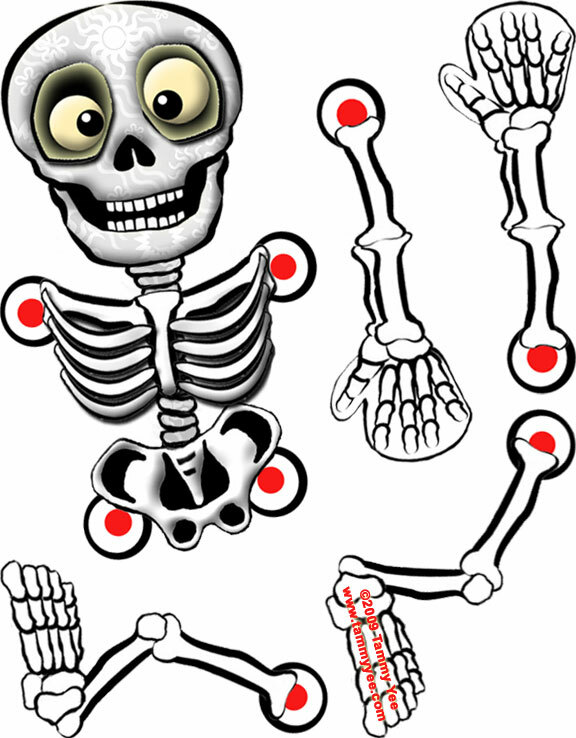 • We'll be playing with the Skeleton paper dolls I posted yesterday. • We're going to put together this articulated skeleton, because he has a crazy face and I love him. You can download the skeleton for free at Origami and Stuff 4 Kids. 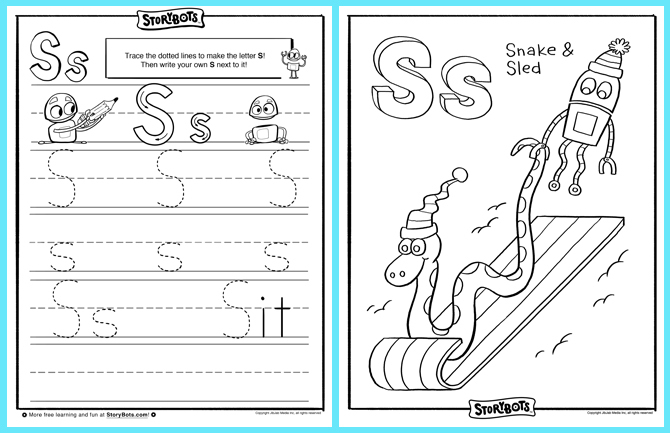 • We'll be printing the tracing page and coloring page for the letter S from my new favoritest of all time websites Storybots.com. This website is amaaaaaaaazing. It's super cute, fun for kids, has great videos, and it's from the creators of jibjab, whom I already adored. The website is new so they're still working on some of the videos and stuff, but you can get the corresponding app in which you can put your kids' faces into cute story books and make reading even more fun! My whole family loves it! And that's what we're doing this week! Hopefully now that we're mostly out of boxes we can keep up our preschool schedule each week, so check back next week!